BlackBerry has been busy with rolling out new devices in the recent past, with the DTEK50 and DTEK60 highlighting the period. However, it is only last year’s BlackBerry Priv that rocks the physical keyboard the company is synonymous to. There have been reports that the Canadian tech giant will no longer be handling the hardware part of its future smartphones and instead, its focus will remain on the software part. The company has also released two smartphones that have their keyboards embedded into the display like other Android phones. But CEO John Chen says that a BlackBerry phone with a physical keyboard will be released in the near future. This is something that was expected from the company following a promise it made earlier in the year. However, there still no official release date for the said phone. BlackBerry had also confirmed that 2016 will see at least three devices come to life – two are already out. 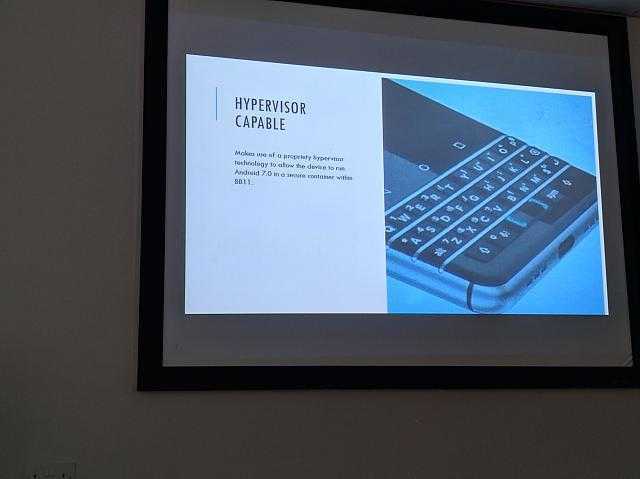 In addition to a lack of details on the release date, there is also no word on what features and specs this BlackBerry phone will have or even the name. Could we be looking forward to a new DTEK70? Only time can tell. Nonetheless, rumor has it that the upcoming BlackBerry phone will be powered by an octa-core Qualcomm processor that will be paired with a decent RAM of 3GB. In terms of size, the phone will reportedly pack a smaller screen size of 4.5 inches with HD display resolution and a 3200mAh battery to keep it alive. There is also talk of an 18MP snapper on the back, which could be a major selling point for the compact phone. BlackBerry is currently holding a very insignificant market share in the smartphone industry, despite the shift to the popular Android OS. With a device that is positioned as a midranger, it is easy to say that the Canadian tech giant is targeting the developing nations with this phone.